Ask the Doctors – How can I make sure my dad’s many pills are safe together? Dear Doctors: Our elderly father is now seeing several specialists, all of whom have prescribed medications. My brothers and I are worried about how many pills Dad has been told to take, and the fact that these doctors don't seem to be consulting with one another. How do we make sure the drugs are safe and appropriate? You've hit on a problem that is both serious and widespread, particularly among the elderly. It's called polypharmacy, and it describes the simultaneous use of multiple drugs to treat one or more ailments or conditions. The risks of polypharmacy range from drug interactions that may make a person feel unwell, to those that are dangerous and may cause physical harm or even death. It's estimated that more than 40 percent of men and close to 60 percent of women over the age of 65 now take five or more medications per week. 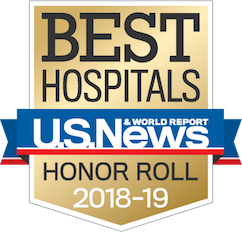 This includes prescription medications from physicians; over-the-counter medications such as aspirin or antacids; vitamins, homeopathic or herbal remedies; and nutritional supplements. Any of these, in the wrong combination, can cause problems. When it comes to medications, these are often prescribed by several different specialists who may not be familiar with a patient's medical history. When taken in combination, some of these drugs may cause problems such as dizziness, bleeding, confusion, low blood pressure or respiratory distress. In some cases, adverse drug interactions can send patients to the hospital. -- Start by getting organized. Make a complete list of all medications, including any over-the-counter medications as well as herbal and dietary supplements. Write down the dose of each drug and how often and at what time he takes it. -- If your father has a primary care physician, ask her or him to check the list. It can be run through a drug interactions database to identify potential problems. If a primary care physician is not part of your father's health care, you can get the same help from his pharmacist. To keep things simple, it's a good idea to have just a single pharmacy dispense all of your father's medications. -- If any problems come to light, contact each of the prescribing physicians and explain the issue. By coordinating with all of the doctors, you can arrive at a list of drugs that are both necessary and safe for your father to take. -- Going forward, your father should bring this new list of medications with him to every medical appointment. He should share it with each doctor he sees so future drug interactions can be avoided. -- When a new drug is prescribed, your father should ask what the drug is for, what is the proper dosage, how long it should be taken for, how he will know it is working and whether there are any side effects or risks associated with the drug. -- Always add any new drug, along with its dosage, to the medications list. -- Periodically check with the prescribing physicians regarding the drugs they have recommended. Perhaps a dosage has changed, a drug can be eliminated, or it should be changed. 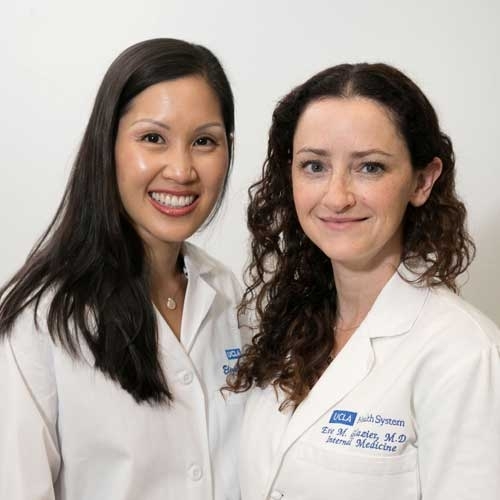 Eve Glazier, MD, MBA, and Elizabeth Ko, MD, are internists and assistant professors of medicine at UCLA Health.